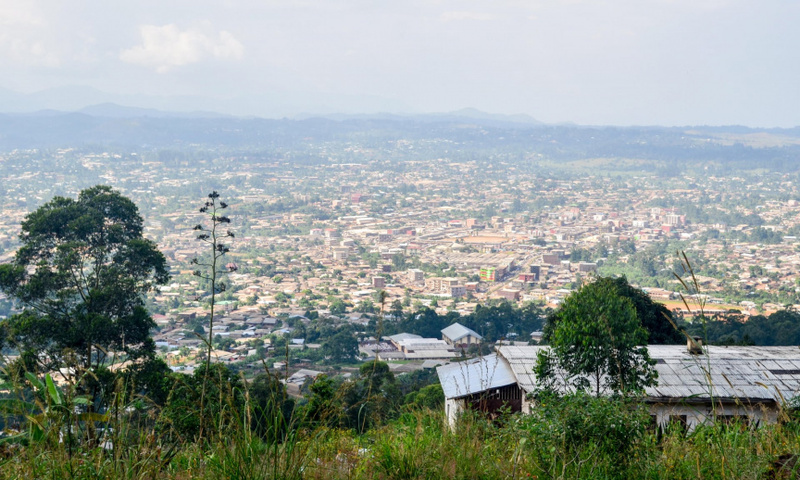 YAOUNDE, Cameroon (AP) — The 79 students kidnapped by unidentified gunmen from a school in Cameroon have been released, but two of the three staff members abducted with them are still being held, a church official said Wednesday. The students, aged between 11 and 17, were brought to a church near the regional capital of Bamenda, said Fonki Samuel Forba, moderator of the country's Presbyterian Church. "They look tired and psychologically tortured," he said. Forba pleaded with the kidnappers to free the remaining captives. The students were abducted Sunday night in part of Cameroon that is beset by violence and instability by armed separatists who want to create a breakaway state called Ambazonia. Fighting between the military and separatists in the northwestern and southwestern regions increased after the government clamped down on peaceful demonstrations by English-speaking teachers and lawyers protesting what they said was their marginalization by Cameroon's French-speaking majority. Hundreds have been killed in the past year and the separatists have vowed to destabilize the regions. They have attacked civilians who oppose their cause, including teachers who were killed for disobeying orders to keep schools closed. Forba said that parents and guardians of the students at the boarding school where the abductions occurred were asked to take them home. "It is unfortunate we have to close the school and send home 700 children," he said. "Their security is not assured by the state and armed groups constantly attack and kidnap them." A previous kidnapping from the school was resolved when the church paid a ransom of 2.5 million francs (about $4,000) to the armed gang. "We can no longer continue," he said. The group taken Sunday was the largest number abducted at one time in Cameroon's Anglophone regions. The separatists also have set fire to at least 100 schools and driven out students and teachers from buildings taken over as training grounds. North West regional Gov. Deben Tchoffo said this week the government is providing adequate security for schools. "I must insist that we have taken enough measures to protect schools, but we also need the assistance of all," Tchoffo said. "People should inform the military whenever they see strange faces in their villages." Tah Pascal, father of one of the kidnapped students, said he does not trust what the governor has said. "How can he always talk of protection and security when our schools are torched every day, our children tortured and their teachers killed?" Pascal said. "This is done in spite of the presence of the military." Parents interviewed said they were relocating their children to safer areas. The U.S. called for the immediate and safe return of the remaining hostages, according to Tibor Nagy, Assistant Secretary for U.S. Department of State's Bureau of African Affairs via Twitter. "We urge an immediate halt to the indiscriminate targeting of civilians and burning of houses by Cameroonian government forces and to the attacks perpetrated by Anglophone separatists against security forces and civilians," he said. "...we urge all sides to end the violence and enter into broad-based reconciliatory dialogue without preconditions."